Two of Kay's books have been listed in the Top Ten Best Sellers with over 11 million copies sold and translated world wide. Kay's extensive background in writing for a diversity of publications, including both secular and religious, is evidenced by her best selling books in a market that is challenging at best. 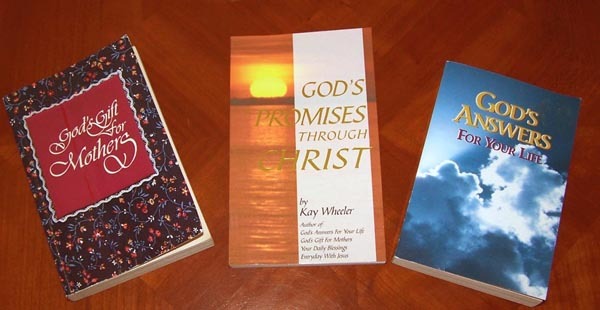 Her knowledge of the Scriptures, hand in hand with her creative writing gift, have found a winning combination in the inspirational book market with such titles as God's Answers For Your Life, and a special Billy Graham Edition of Kay's book, God's Answers For Your Life for distribution to his ministry partners. Additionally, a copy of God's Answers For Your Life was presented to Pope John Paul in Rome. This book is used as a resource by various Catholic clergy. Kay is the originator of the Christian Daily Planner product which has been a consistent best seller. At the helm with the legendary Gordon and Freda Lindsay, Kay served as Executive Editor for the Christ For The Nations magazine worldwide missions outreach for over 10 years, and at a time when many social, political and spiritual challenges faced our nation and the world. Filled with inspiring articles, the magazine thrived not only as a source of exhortation and journalism, but as a fund-raising tool. The magazine's success and outreach spawned the CFN Institute and Bible College where missionaries and ministers are trained and sent forth all over the world. CFN grew to become a leading headquarters and international gathering place for lay and clergy representing all denominational and nondenominational groups. During the 1960s, many who were in the forefront of the Charismatic Renewal held world-wide seminars at CFN. Additionally, Kay traveled to many such seminars throughout the USA as a journalist for CFN, and wrote/produced outstanding magazine coverage of these gifted ministers. As a journalist and graphic artist, Kay designed the majority of the covers and page layouts during her tenure with CFN. .
Kay founded the New Wave Ministries in 1970 and established a ministry headquarters center in Houston, Texas. Her ministry included evangelistic outreaches, teaching, counseling and publications. She wrote numerous, innovative evangelistic tracts and booklets plus a Christian newspaper. These materials were used by many ministries both nationally and internationally and translated into over 13 languages of the world. 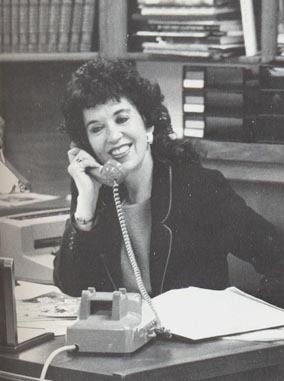 Kay was a teenage prodigy in direct marketing--specializing in the youth product market development. She was an account executive at a top Los Angeles Advertising Agency at the age of 17. 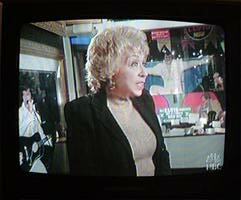 She designed national advertising and was an account executive/ consultant for Elvis Presley related products, and other youth oriented products and activities in the newly emerging, giant "youth market" of the late 50s and 60s.